since we all had so much fun in april, planning for a july show is well underway. all we need is you and your crafty selves - along with your fab craft items - to join in. if you're interested in an application, we'll e-mail you a PDF version. 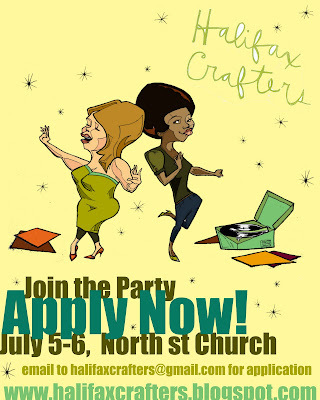 just send your email address along to us: halifaxcrafters@gmail.com and we'll put you on the mailing list.